With Apple setting the new trend by removing the headphone jack, HTC seems to be also working on a similar smartphone. Live images of the alleged HTC Bolt surfaced giving a closer look at the smartphone. 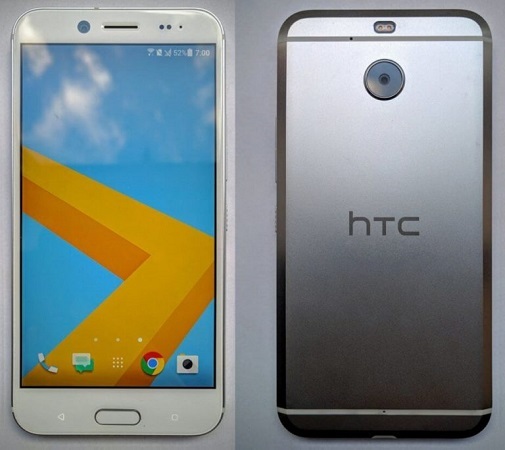 The flaunts the same unibody design seem on HTC smartphones. However, the 3.5 mm headphone is clearly missing from the frame of the upcoming smartphone. HTC has used a USB Type-C which would be used to offer the BoomSound audio technology through headphones. According to the source, the HTC Bolt smartphone would have a 5.5 inch full HD display and would sport a 3 GB of RAM and 64 GB of storage. The handset would also have an 18 MP camera at the back along with the fingerprint scanner. Also present is an 8 MP front facing camera. Currently there is no word on the release of the handset.